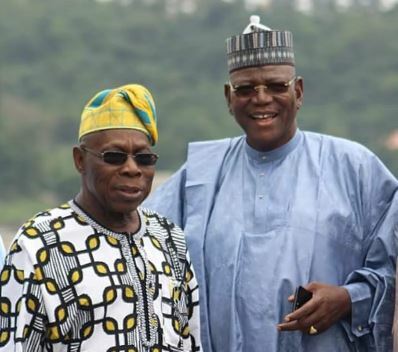 Former President, Olusegun Obasanjo has said ex-Jigawa State Governor, Sule Lamido has what it takes to rule Nigeria. Obasanjo said Lamido, who is a presidential aspirant on the platform of the Peoples Democratic Party, PDP, has the capacity and courage to become Nigeria’s President. He said this when the former governor and his National Campaign Council visited him at Olusegun Obasanjo National Library Abeokuta, Ogun State. According to Obasanjo, “I don’t have any doubt about your attributes, your capacity, and your courage. “As a former minister of foreign affairs, Sule knows the world and knows how to relate with other countries of the world, I was so happy and elated by what I saw in Jigawa state when you became a Governor.